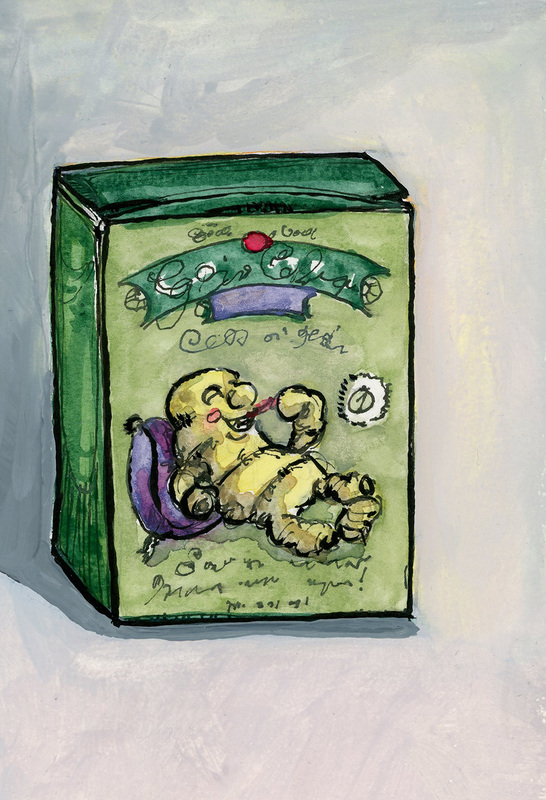 A sketch of a box of my usual brand of ginger candy. The funny ginger guy character seems to be exhibiting cannibalistic behaviour -- he's eating one of his own kind! This was originally painting using a mix of my usual watercolours with some cheap Marie’s paint. The use of Marie’s turned out to be a disaster (pigments were large and grainy when thinned). So, I used gouache for the background instead.